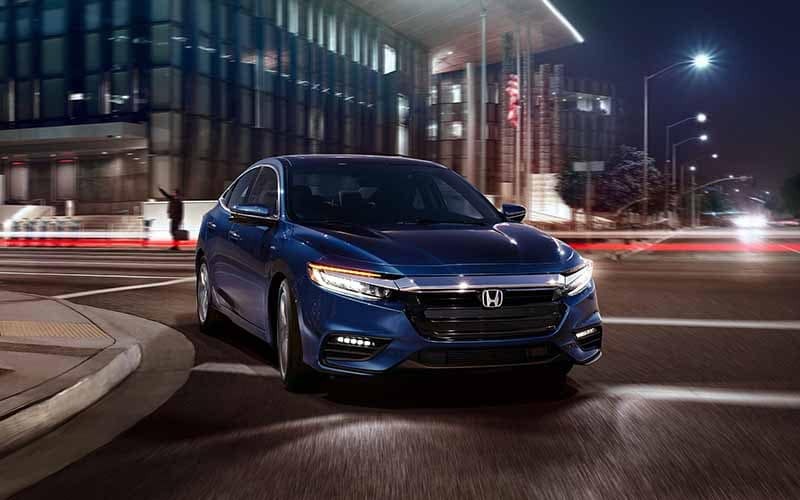 The 2019 Honda Insight is a hybrid sedan that offers drivers comfort inside and impressive performance on the road. Car and Driver declares that the Insight “is a joy to drive around town,” thanks in part to a hybrid system that produces strong yet smooth driving characteristics. 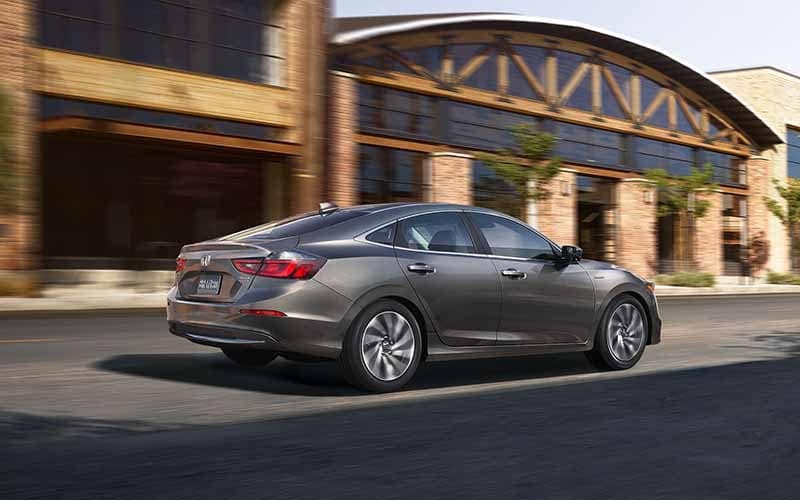 And with impressive fuel economy, a 3-mode driving system that includes a sport mode, and active safety features that ensure the Insight is always performing at its best, the Insight is an impressive sedan. The hybrid system inside the Insight is comprised of a lithium ion battery and a gas-powered 1.5L in-line 4-cylinder engine. The Insight relies on the motor for its primary source of power, while the gasoline engine doubles as a generator to recharge the battery. The engine produces 107 horsepower on its own while the electric motor produces 129 horsepower. Altogether, the Insight will produce a total system horsepower of 151. For a more engaging driving experience, the Insight features a 3-mode driving system. The Econ mode offers drivers a comfortable and efficient ride. It’s the perfect mode for everyday driving or when you want a quiet cabin insulated from road and engine noise. The Sport mode transforms the Insight into a sportier version with a different feel at the pedals and accentuated engine growls when you accelerate. Finally, the EV mode allows the Insight to operate on electric power alone. The Insight includes an extensive list of active safety features that enhance its performance in various weather and road conditions. Vehicle Stability Assist with Traction Control – This system helps stabilize the Insight and prevents oversteering or understeering while on turns or curves. It also ensures the Insight maintains good tractive control of the road, even in inclement weather. Anti-Lock Braking System – This system prevents the brakes from locking up, which can cause dangerous skidding. Electronic Brake Distribution – This system automatically varies the amount of braking pressure applied to each wheel based on speed, road conditions, and driver inputs. Brake Assist – This system brings the Insight to a complete stop more quickly and safely in an emergency braking situation. 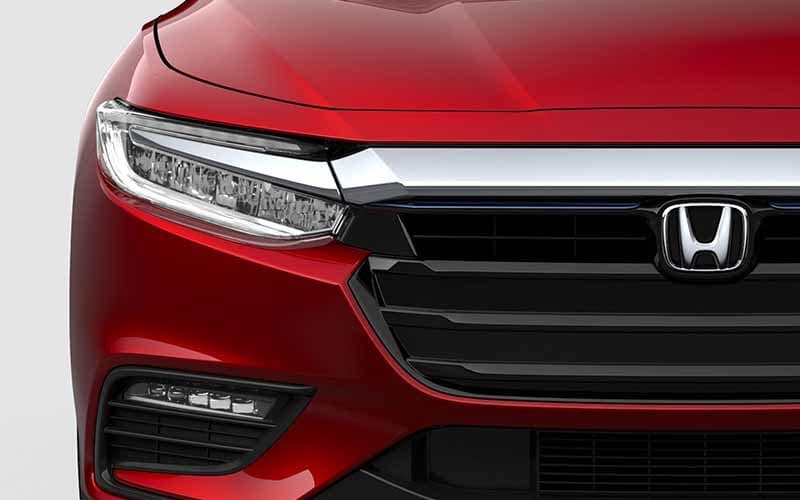 LED Daytime Running Lights – These lights ensure that the Insight is clearly visible to other drivers while also illuminating the way ahead. Tire Pressure Monitoring System – This system monitors tire pressure and notifies drivers when one needs to be inflated so the Insight can perform at its best. 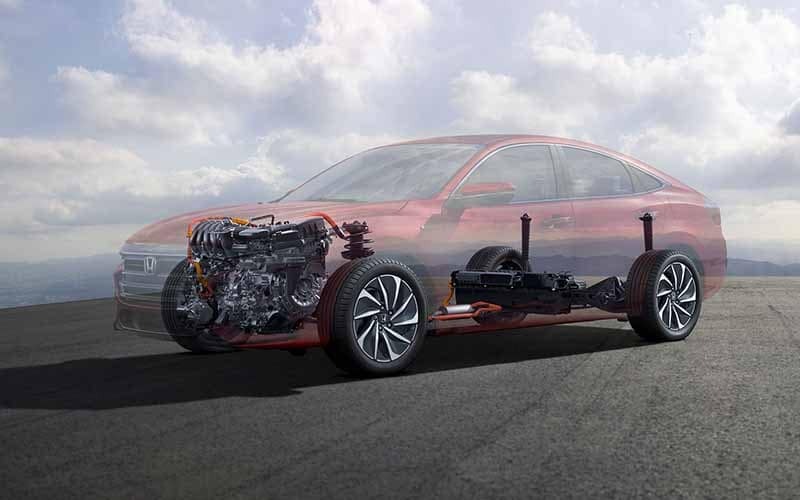 As drivers continue to explore the Insight there are more performance features to take note of, including a sophisticated suspension system that absorbs bumps and road imperfections for a smoother ride. And Eco Assist helps drivers adjust their inputs to drive more efficiently and get the most out of their hybrid. 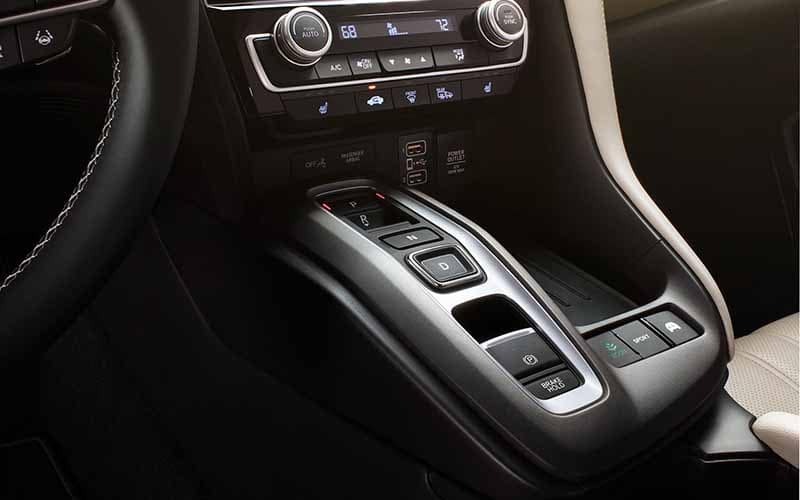 Learn more about the 2019 Honda Insight by contacting us or by visiting your nearest Hampton Roads Honda dealer. Explore our current offers and sit behind the wheel with a test drive today.